Are you exposed to air pollution or second hand smoking or passive smoking? Do you have wheezing and shortness of breath which is worsening over a period of time? Are you not able to keep up pace with people of your own age? Chronic Obstructive Pulmonary Disease (COPD) is a term used to describe progressive lung related diseases like chronic bronchitis, refractory asthma, emphysema and some forms of bronchiectasis that leads to breathing problem. These lung diseases get worse over a period of time. It is due to the damage to the lungs over many years, especially from smoking. As of now, there is no cure for COPD to reverse the damage to the airways and lungs. However, with treatment and lifestyle changes you can slow the progress of disease and reduce the symptoms to feel better. Do you know that smoking 100 cigarettes in your lifetime put you at risk of developing COPD? In almost all cases, smoking is the major cause of COPD. Gradually, breathing tobacco smoke disturbs the airways and destroys the stretchy fibers in the lungs leading to breathing problem. 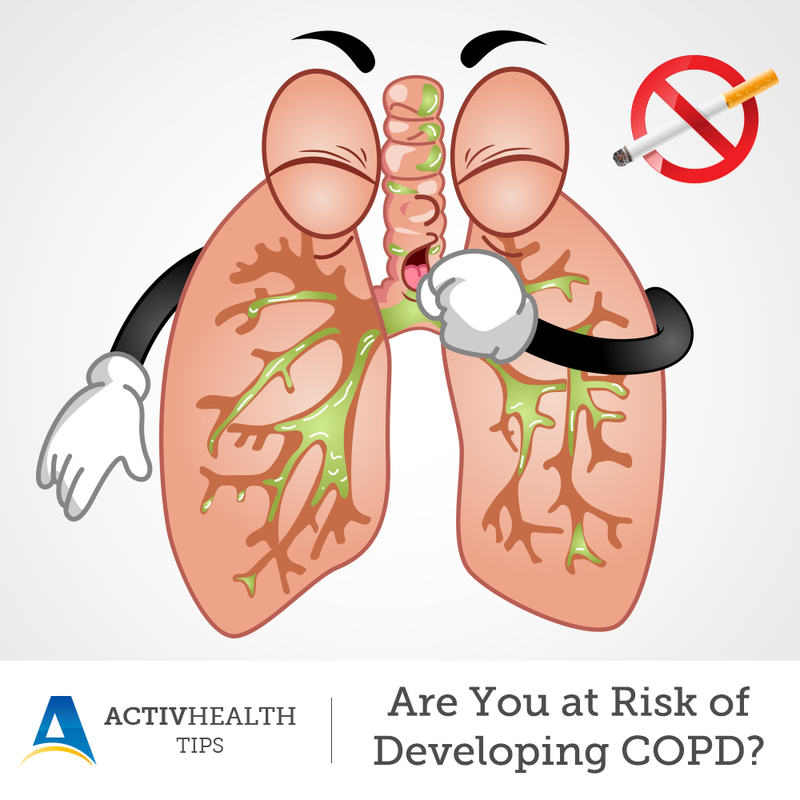 Apart from smoking, breathing chemical fumes, dust or a polluted air for years can also increase the risk of COPD. Also, serious lung infections when you were a child can increase your risk of COPD. As it is a progressive disease, COPD is mostly common as you age, older than 60. As COPD gets worse, even simple daily activities like cooking or getting dressed can lead to breathing problem. Eating and exercising makes it worse. Many people with COPD have attacks called exacerbations, which is when your common symptoms gets worse. These attacks can be dangerous, ranging from mild to life-threatening, and you may have to rush to the hospital.